A complete examination of the patient and consultation with the client can discover or prevent many serious problems as well as extend life. A year of our time is at least 7 years in pet time. 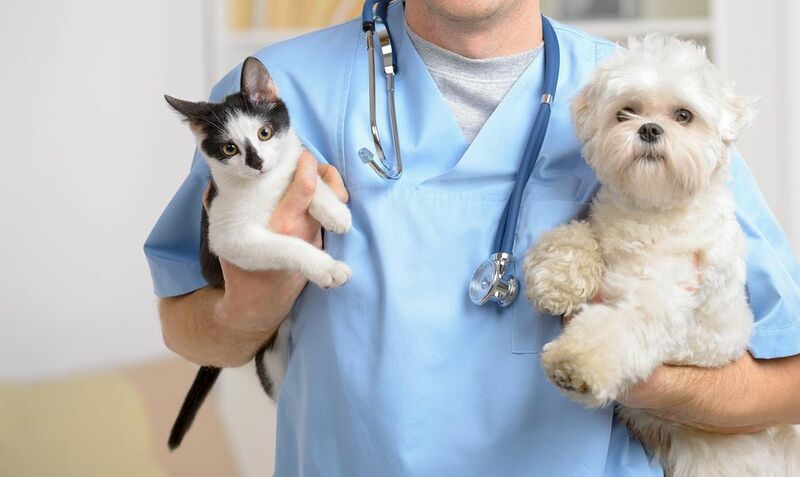 If your pet has not seen a vet in a year, that is equivalent to not being examined for at least 7 years. Because, for older animals, our calendar month can be equivalent to a year of time; in their shorter lifespan, some patients are better served by being seen more often. We would recommend that you slowly switch your pet off dry food. Dry food is pro-inflammatory and dead. The glue used to make it stick into the neat little pellets you like is starch and this turns to sugar starting in the mouth; sugar in food has many bad effects on the body. If you would switch to a moist food we believe that your pet will live a longer healthier life. You can switch your pet over to a moist diet of either canned food, the tubed pet food, raw, or home cooked. Make sure to slowly make this transition as you don’t want to upset your pet's stomach. Visit www.balanceit.com for complete & balanced homecooked meal recipes for dogs and cats. This site also provides recipes for a variety of specialized diets by condition, age, or special needs. Do not over vaccinate your loved ones. Over vaccination can cause many health risks down the road. When getting vaccines never give more than one vaccine at a time to reduce the risk of a bad reaction. If giving the Bordetella, please give the oral vaccine.